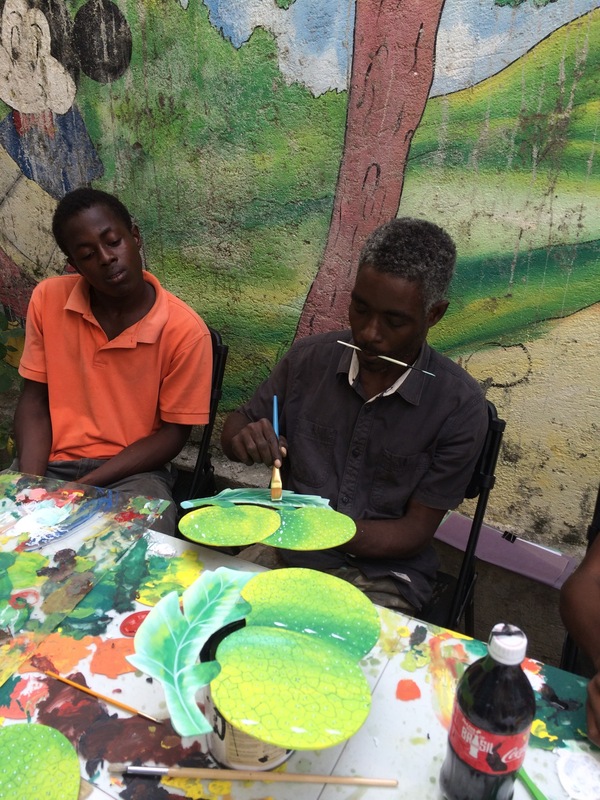 Felician Artists Haiti make their first sales pitch! 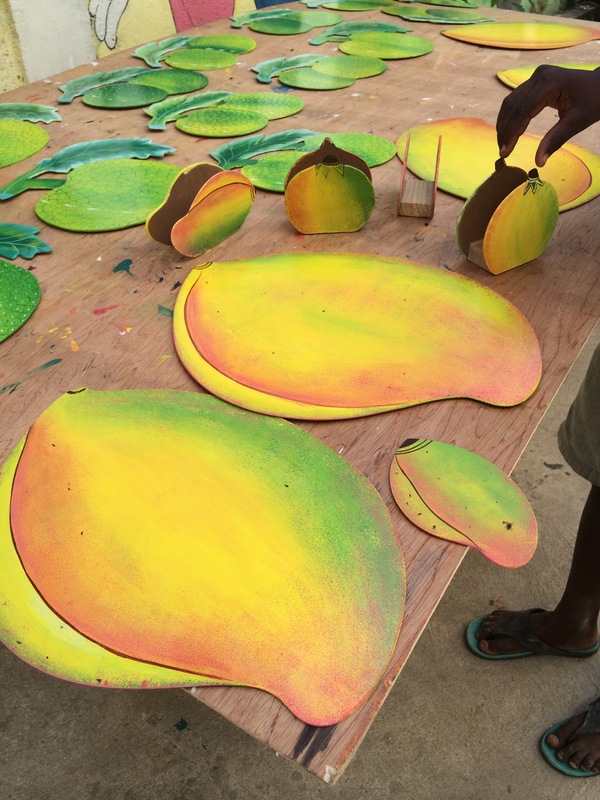 Our young Felician Artists in Haiti are now trying to sell their artwork of placemats, napkin holders, coasters and server trays. 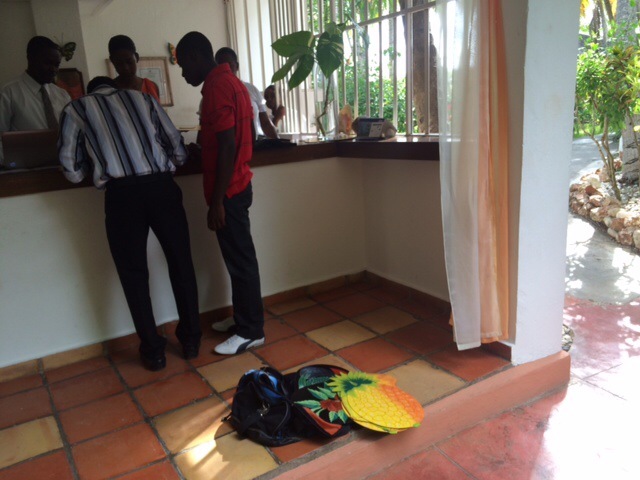 The other day, we took them to the Cyvadier Hotel in Jacmel, and they did their first sales pitch! And guess what? The hotel wants their work! They will use all these items in their restaurant and hotel. To say the least, our young artists were ecstatic! After the meeting, we bought soda and juice to celebrate! Now that school is in session, our kids use our newly-prepared room for study and homework. This is so helpful for them since most of them do not have electricity in their homes. 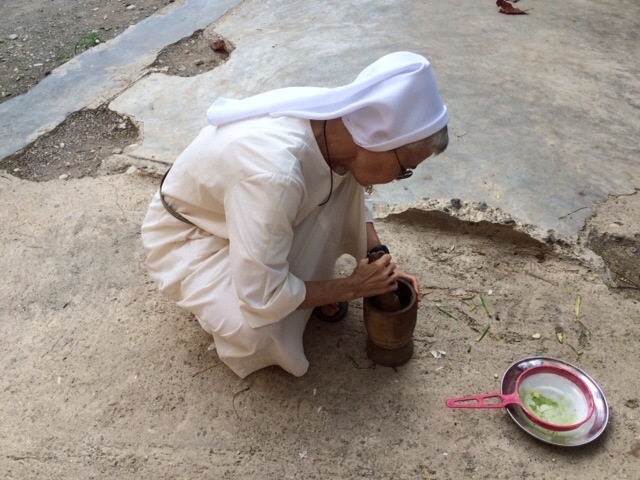 Keeping our environment clean and our area beautiful is important in the Franciscan tradition. We try to share these values with our young people. Our kids know that this is very important. The other day, it was a community effort to make a space for our garbage. 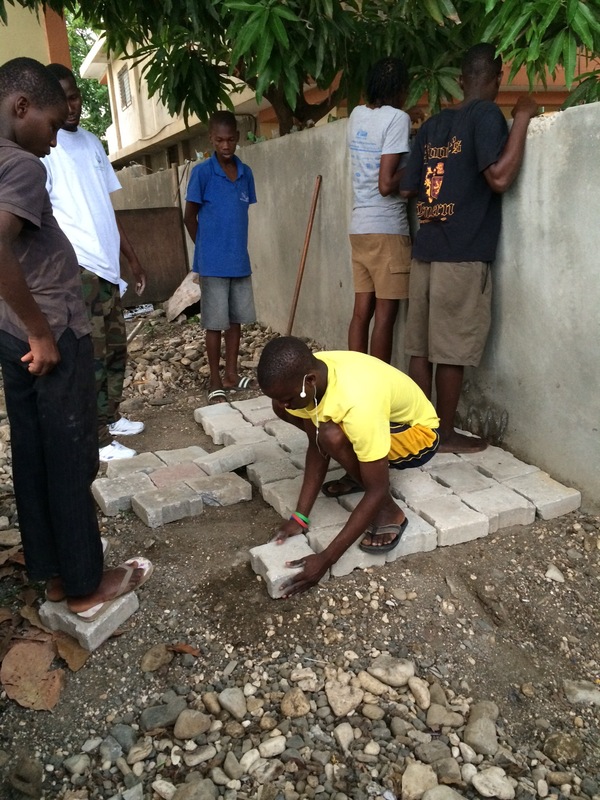 As always in Haiti, when there is work going on, some do the work and others watch. 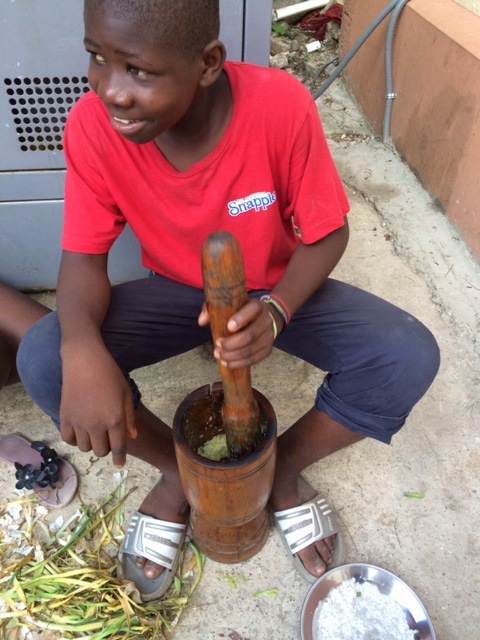 We want you to get to know the children and young people with whom we work in our community in Jacmel. Today, we introduce to you Fabiola and Jelemson. They are sister and brother. 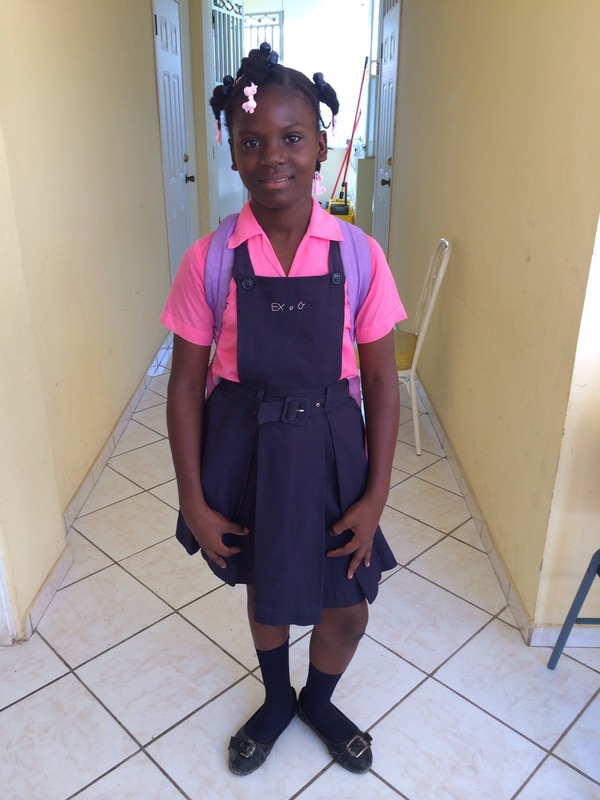 Fabiola is 11 years old and repeating the 3rd grade. 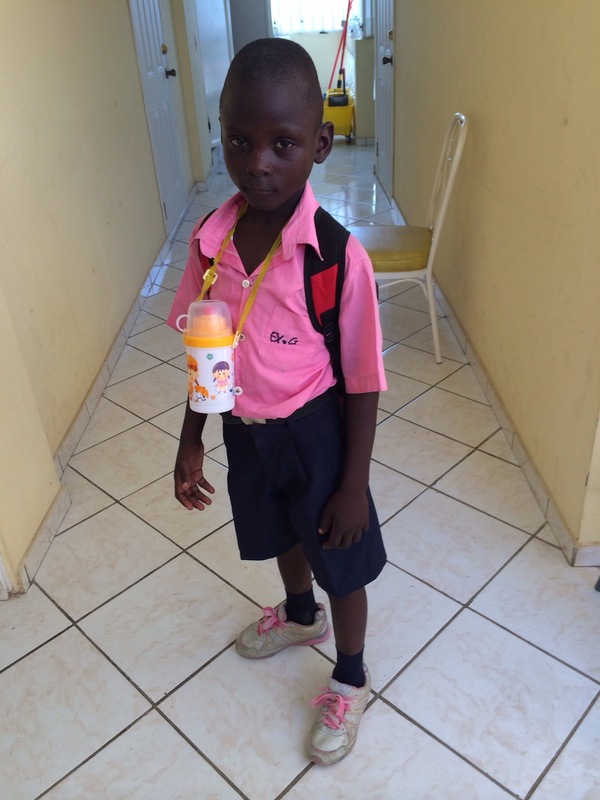 Her brother, Jelemson, is 7 years old and is repeating the first grade. Linda, their mother, is a single mom; their father does not keep in touch with them and does not support them. This same man has fathered two other children with another woman in our neighborhood. 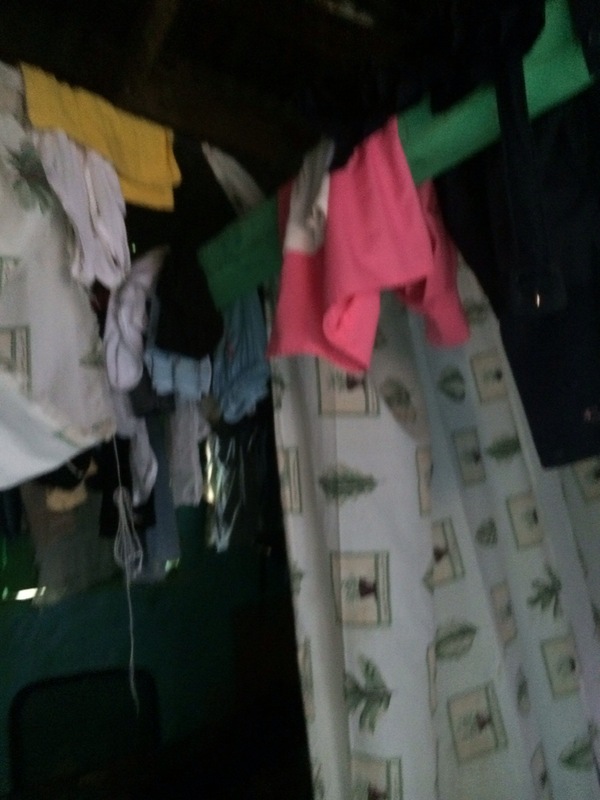 Linda tries to find work by cleaning and washing clothes wherever she can to make a few dollars to feed her children. Linda came to us a few months ago in great need. She could not pay the rent for the small space in which she lives. This family would have had nothing and no place to go. 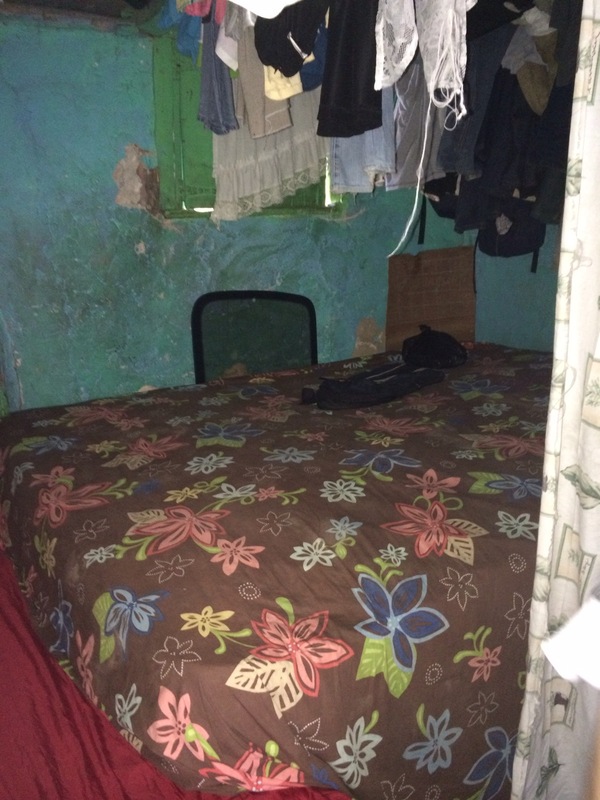 Linda borrowed the money and worked very hard to pay it back so she could keep the one small space for them to live. In the same way she works very hard to pay for them to go to school. We helped by buying their books for school. 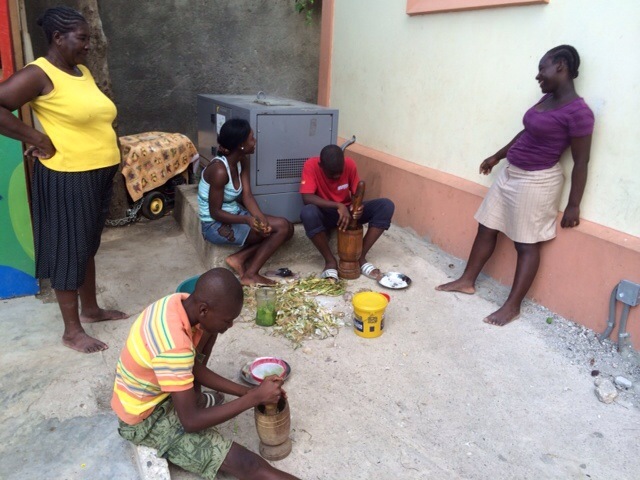 Every day Fabiola and Jelemson come to our Manman Angela Kitchen for dinner. 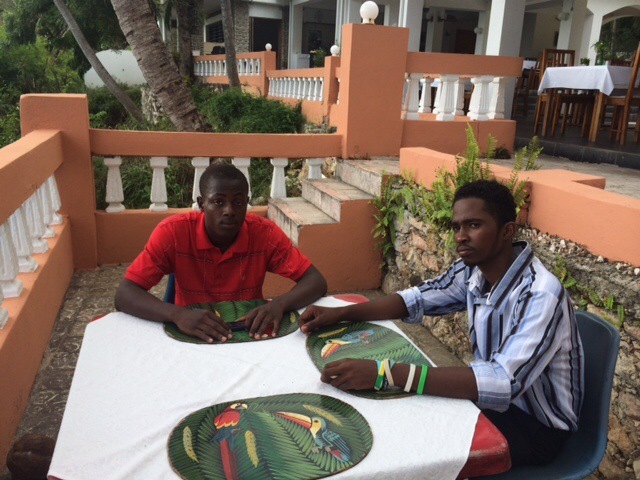 After eating, they do their homework with one of our older teens who is helping them. 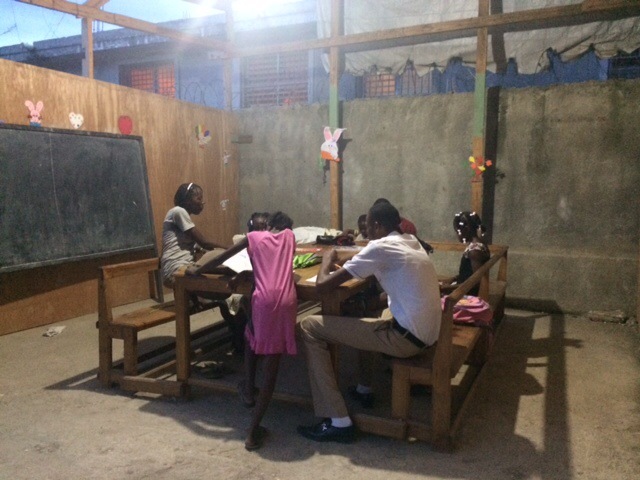 We created a space for study since most of our kids do not have electricity every day. 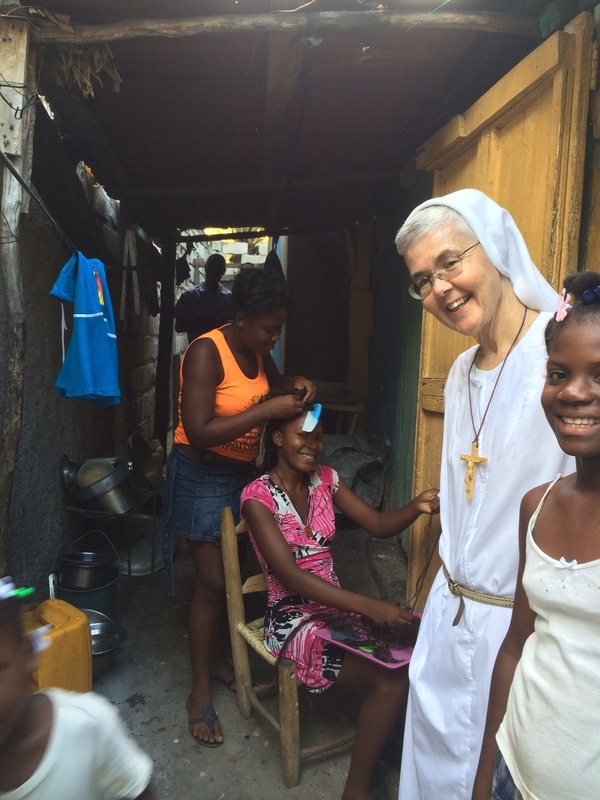 Linda is Catholic and wants her children to be baptized. 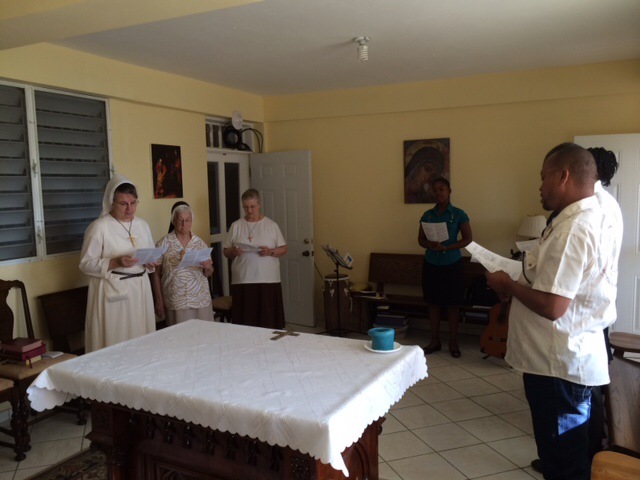 Fabiola is being prepared in our catechesis program for Baptism. Today we visited Linda in her home because she was sick and needed some medication. We learned that six people live in her small space. Linda, her three brothers, and her two children share one large bed and one small bed. 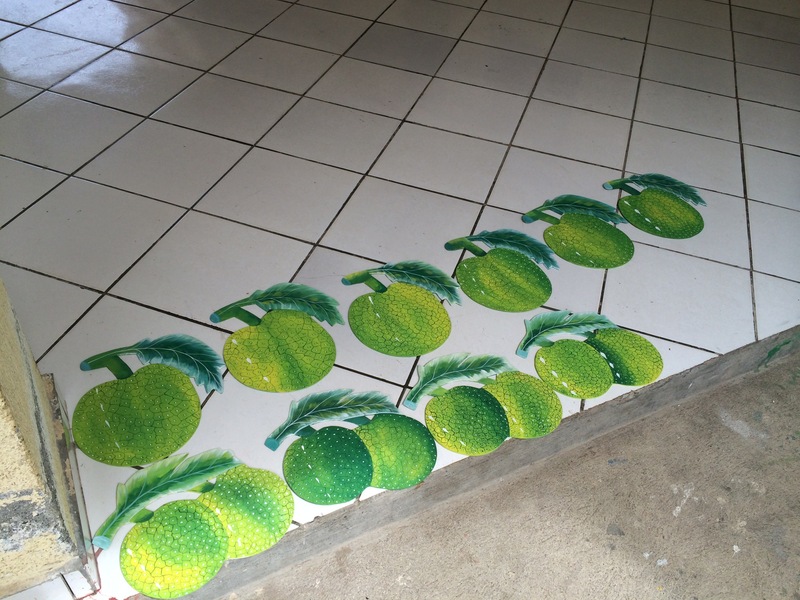 This shows us that Linda works hard not only for her children but for her brothers as well. Sadly, this is not an unusual situation. Sharing Mission Effectiveness with the Klinik Manman Angela team! 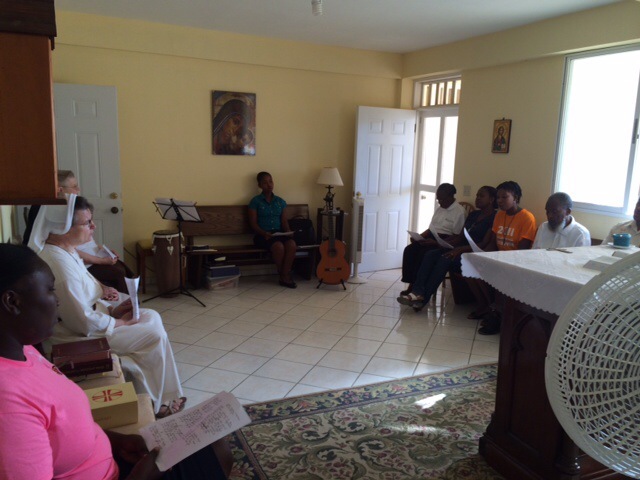 Once a month, the Mother Angela Mobile Clinic team gathers together for Mass and breakfast. 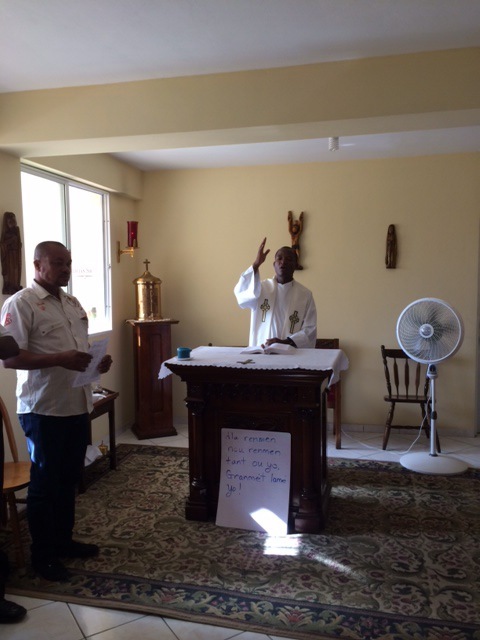 We believe it is important for us to share the Word of God and the Eucharist together. Fr. Elicien shared a beautiful homily on mission and being about the work of the Lord in the spirit of the Gospel and Blessed Mary Angela. 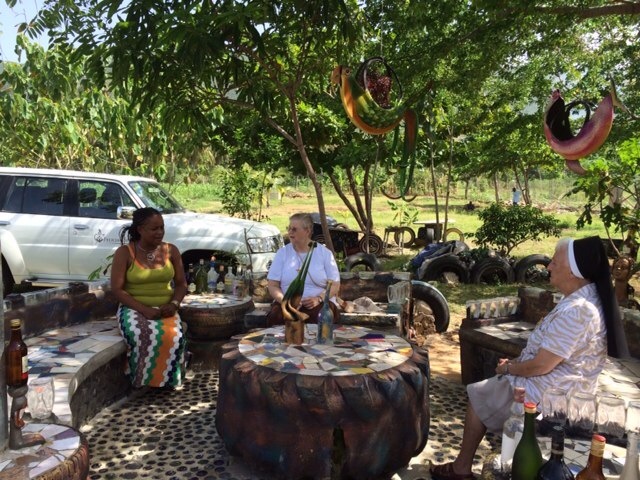 We met an interesting Haitian woman, Polyanna Domond, an artist and a recycler. Her story is very interesting. She is the daughter of a former ambassador for Venezuela. 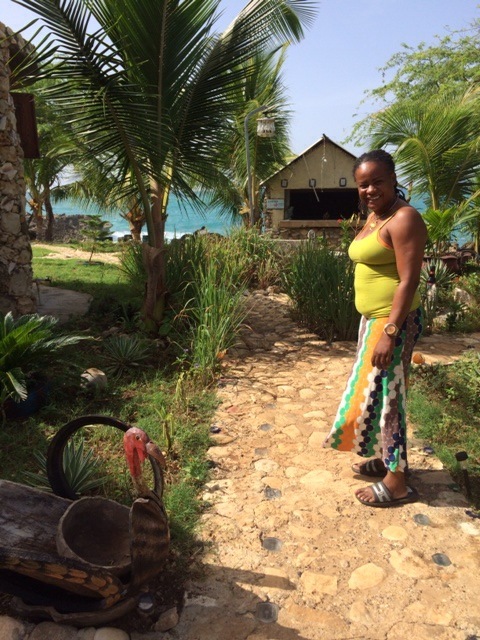 She knows several languages and was a TV announcer for Haiti before and up until the earthquake in 2010. 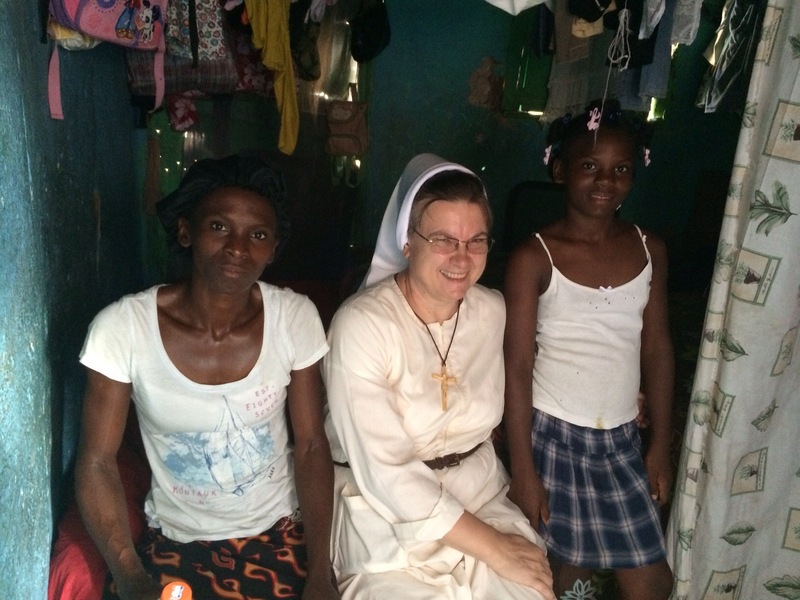 Polyanna was married and had children but, on that day in January, she was driving home from work while her family was in their home in Port au Prince. Seventeen family members were killed, including her husband and children. After the earthquake, Polyanna was frantic, but she put her energy into helping those who were injured and were trying to survive. 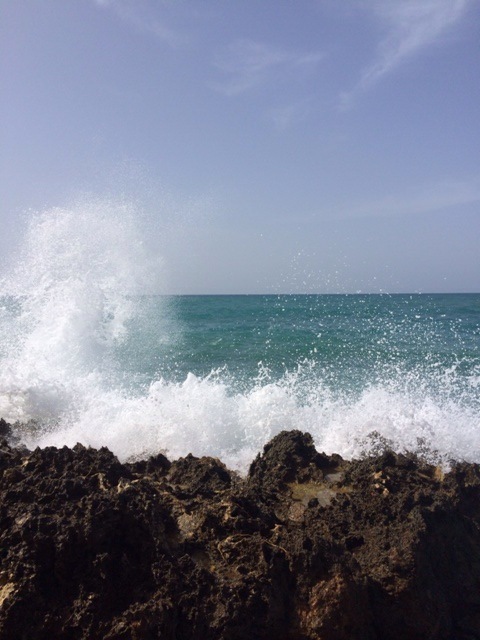 Years later, she has tried to rebuild her life and home. 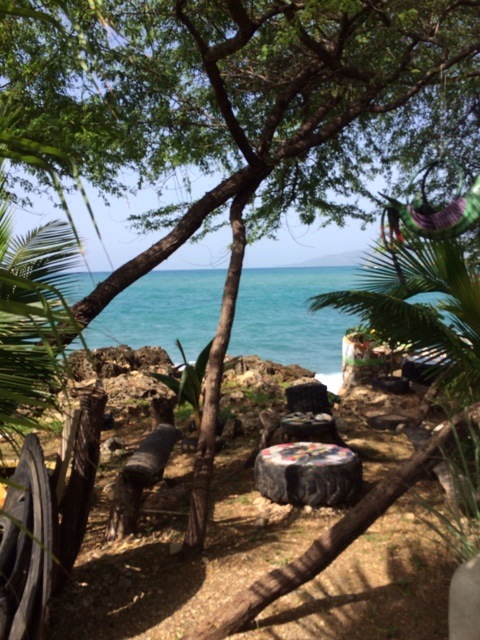 Now has moved to an area outside of Jacmel where she recycles plastics and old tires and makes them into art pieces. She builds walls and is now in the process of building a home out of recyclable plastics. She has an amazing story. 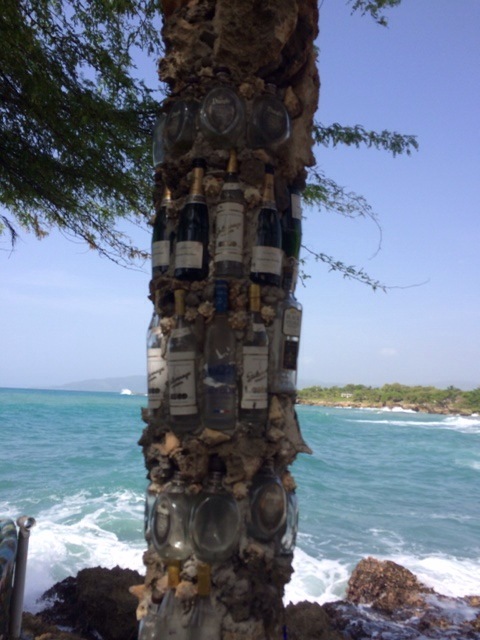 With her artwork and recycling, she runs a “bed and breakfast” that is on the Caribbean Sea, not too far from where we live. 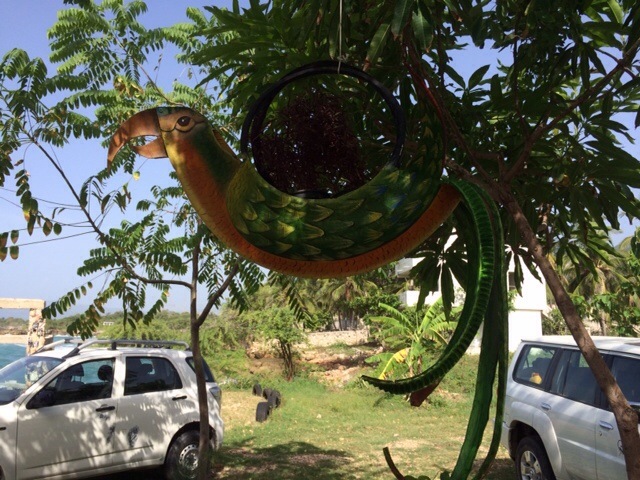 Polyanna helps other Haitian artists who use recyclable plastics and styrofoam to create things. 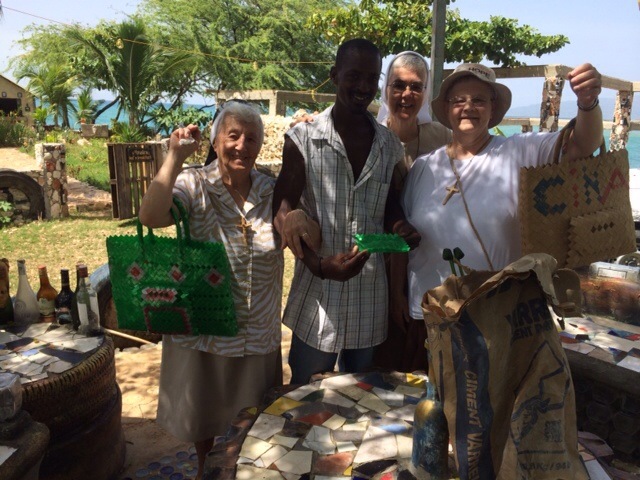 We met a young man, Nelson, who was in prison and has learned how to make hand bags from used cement bags and plastic bottles. Now he is trying to make something of himself in order to take care of his family. As you can guess, Polyanna is helping him.